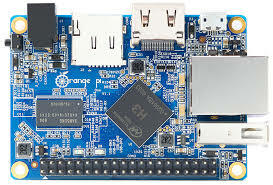 It’s time to introduce another board, today I will speak about the Orange Pi One. The first step is to download the OS image and write it on a micro SD card, the Armbian distribution is available at the following link. Mount the micro SD in the board and power on the board, you will ask to log in with root credentials (root/1234); the os will ask you to choose a new username and password for future connections (don’t worry this account will be on sudoers group). Now you can update the packages with the following commands. Previous Post: The marvellous ESP smart button … now with feedback!